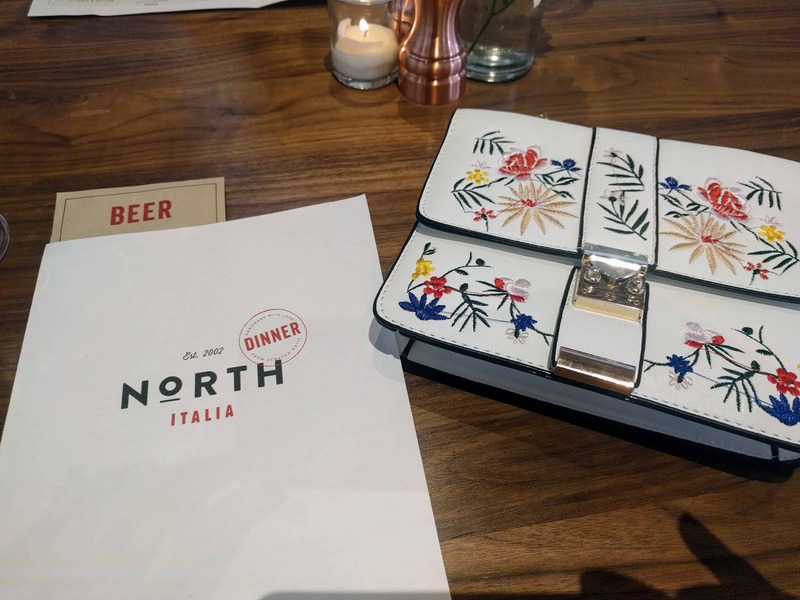 I had the pleasure of being invited to the North Italia, Plano’s opening event a couple of weeks ago. 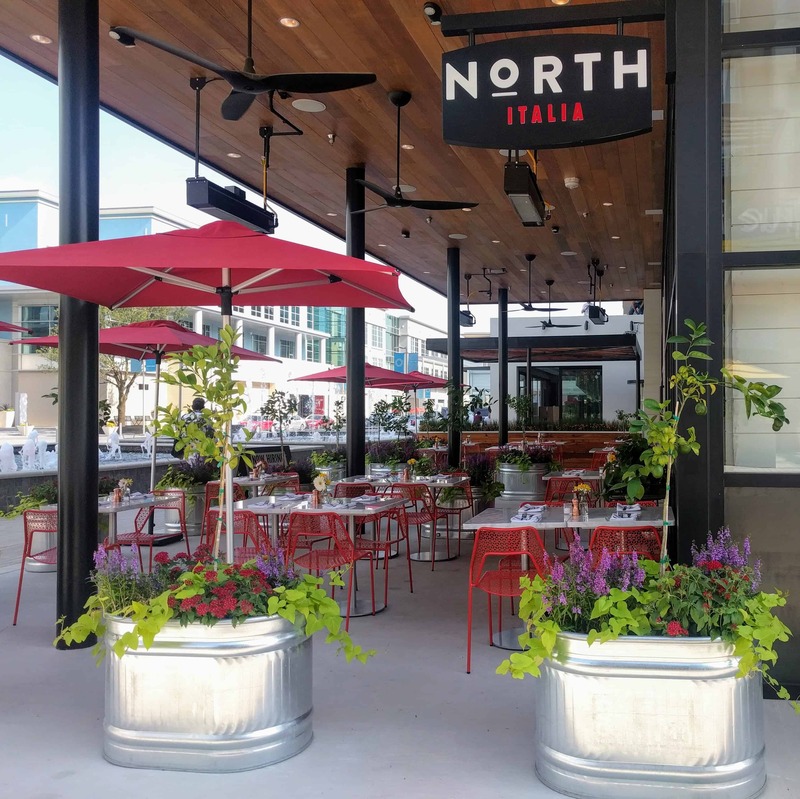 Legacy West is home to the first North Italia in the Dallas metroplex. 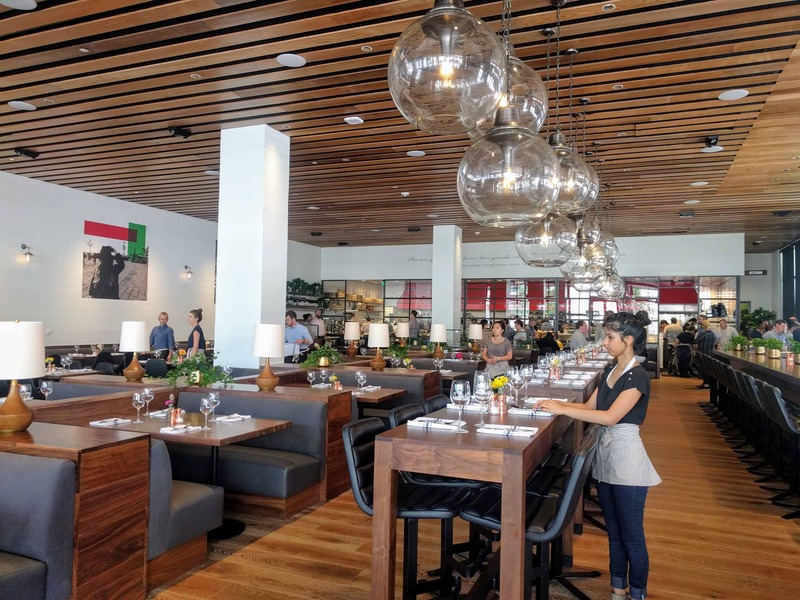 The restaurant serves traditional Italian cuisine, with a twist. As we stepped into North (that’s what the cook kids call it) I noticed the huge bar, globe hanging lights, and the exposed kitchen. 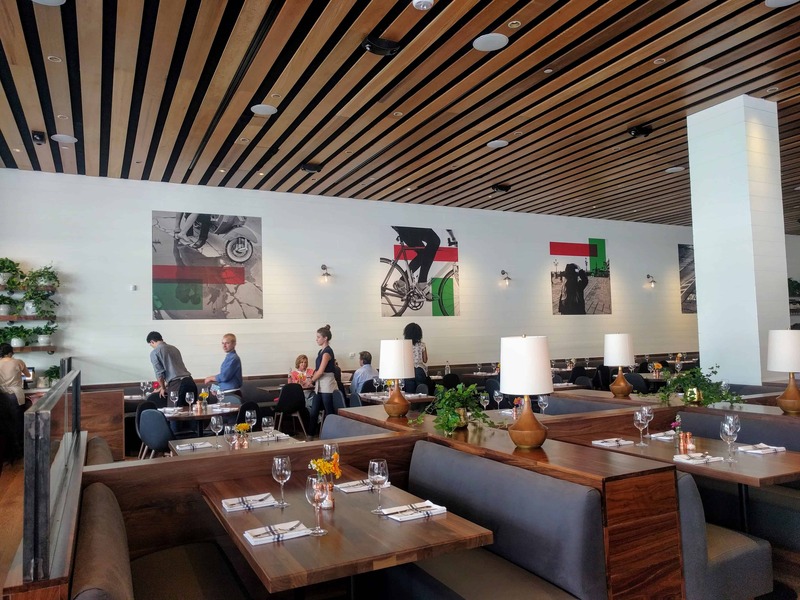 The seating is a mix of high top tables near the bar, and leather booths and chairs in the dining area. There is also a covered patio with colorful chairs. 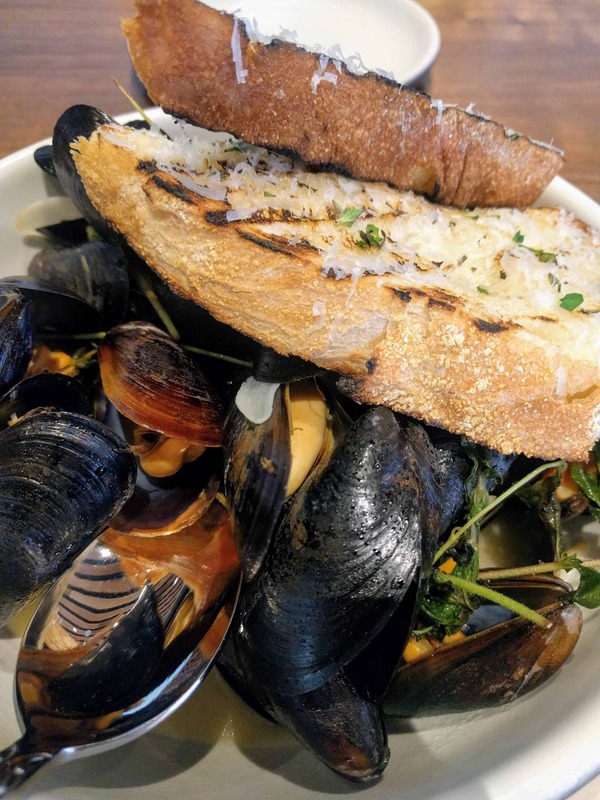 The hubs and I started off with the mussels, which were delicious and the garlic toast served with it, is perfect for dipping in the flavorful broth. 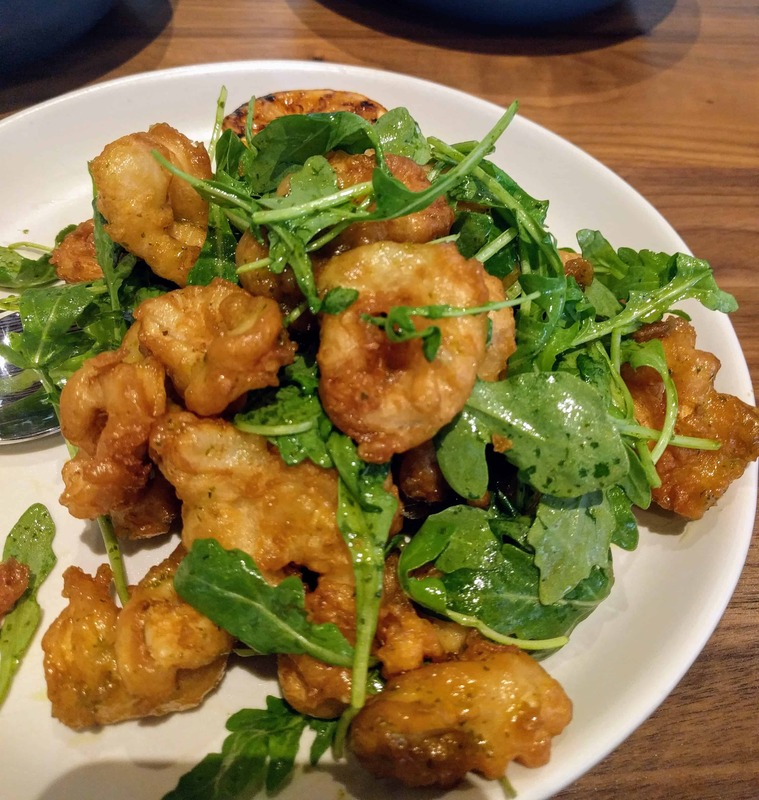 The crispy calamari was fried tempura style which made you get a real taste of the squid since it wasn’t coated in heavy breading. 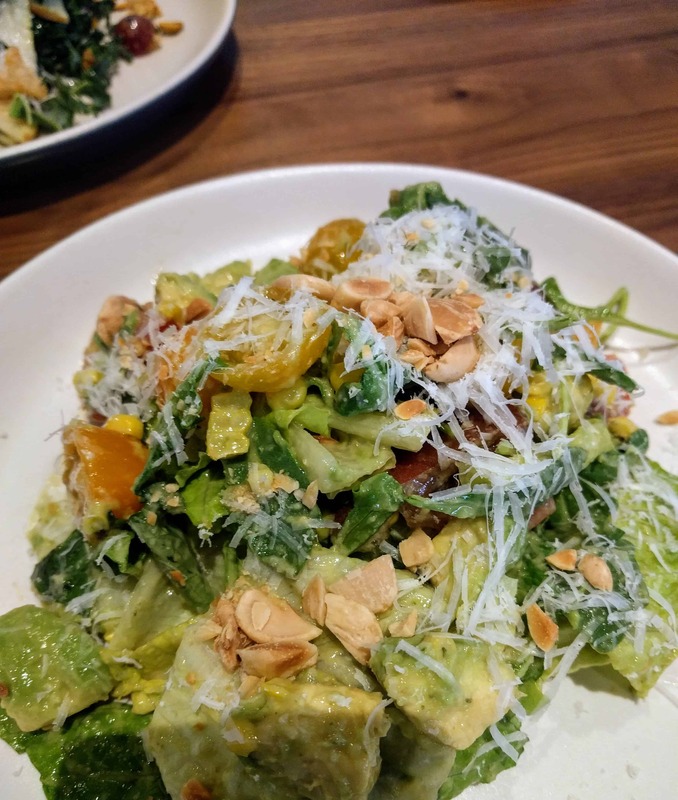 For our salads, I ordered the heirloom tomato salad which was a beautiful array of colorful tomatoes, chunks of avocado and roasted corn. The salad that stole the show (yes, it is entirely possible for a salad to steal the show) was the Tuscan salad. I could have had this as a meal it was so good. 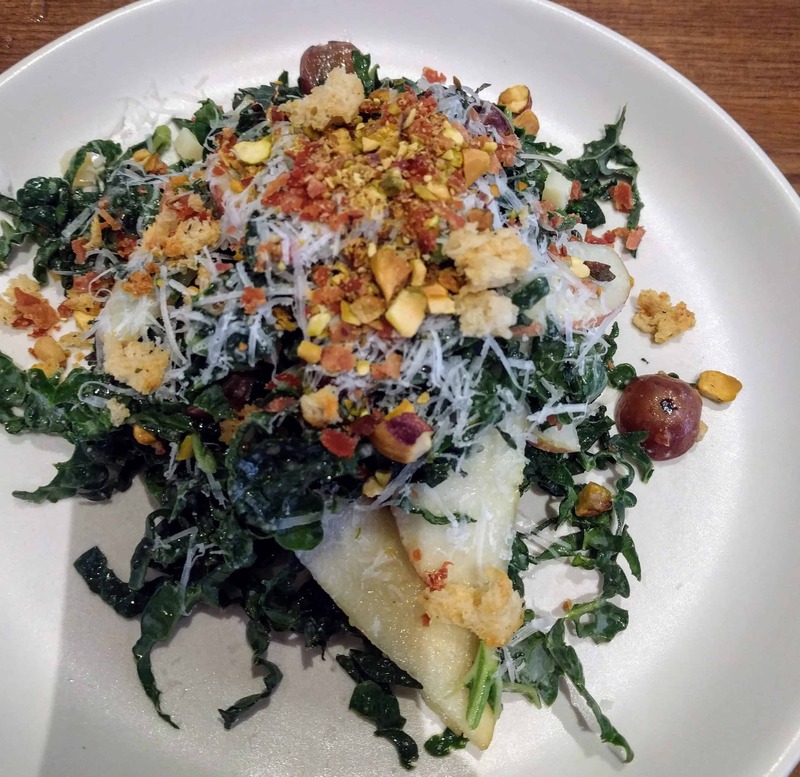 Ribbons of kale (and I typically don’t like kale salads), charred red grapes (don’t ask me how you char a grape, but they did and it was great!) pistachio, cheese, and bits of bread crumbs so you got a nutty crunch with every bite. 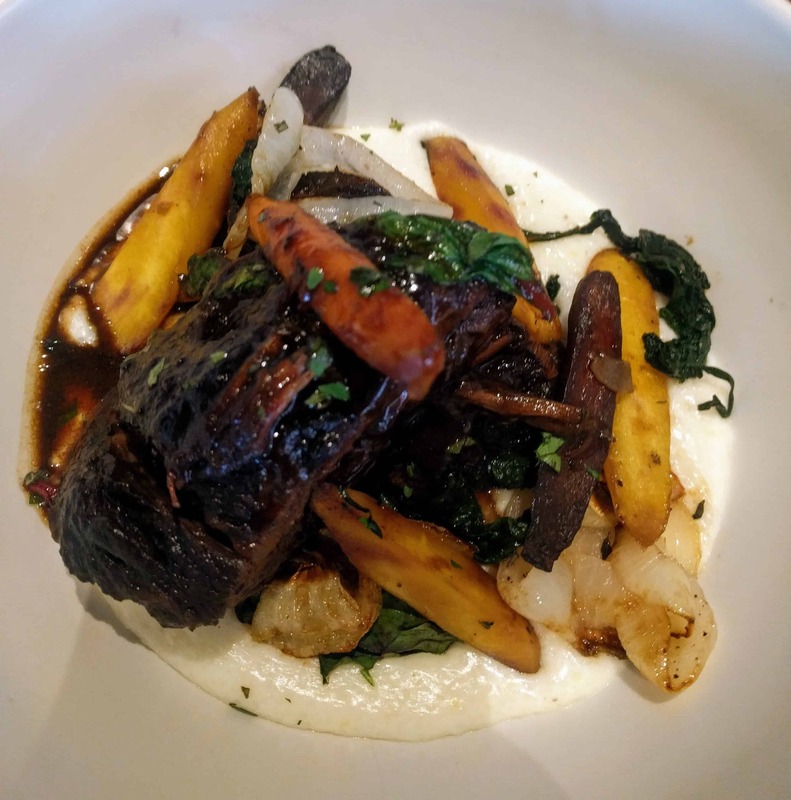 The hubs had the short ribs which he said were tender and falling of the bone. I had the filet, which was cooked perfectly. 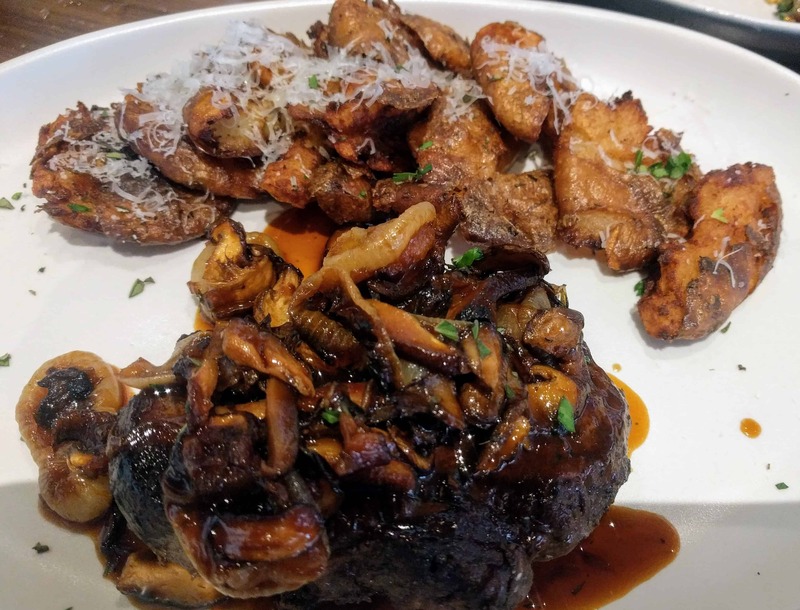 The filet was served over sauteed mushrooms cooked in a red wine reduction and it was served with crispy smashed potatoes. 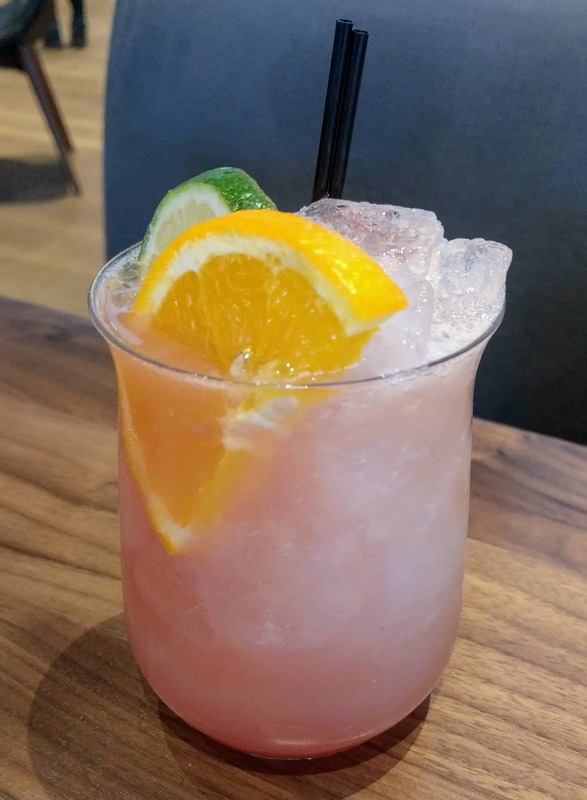 I had the red sangria and the apricot limonata, both were fruity refreshing summer drinks. 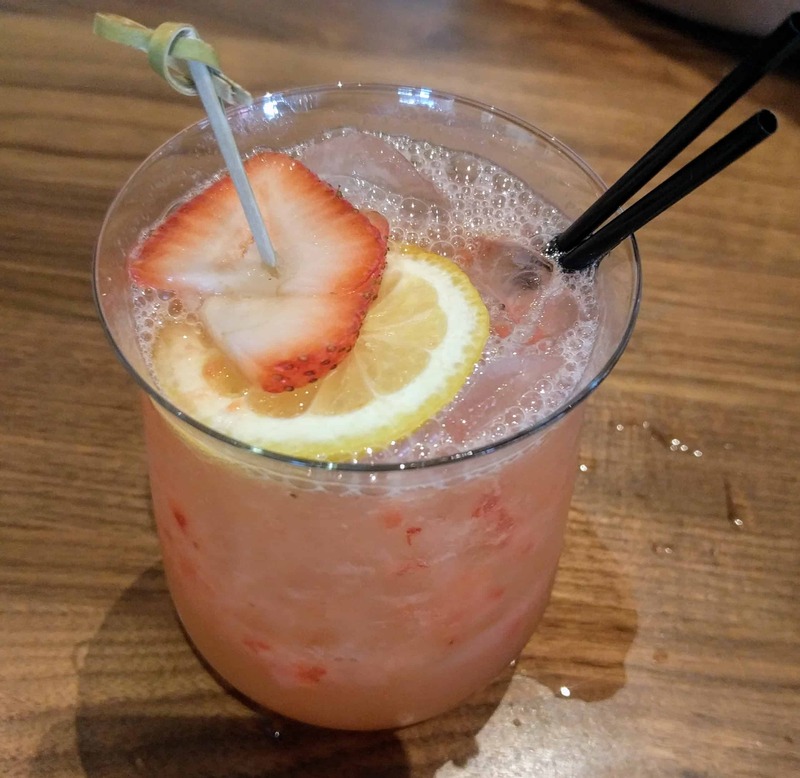 The hubs went with the Sicilian margarita and the strawberry mule and he enjoyed both of them. 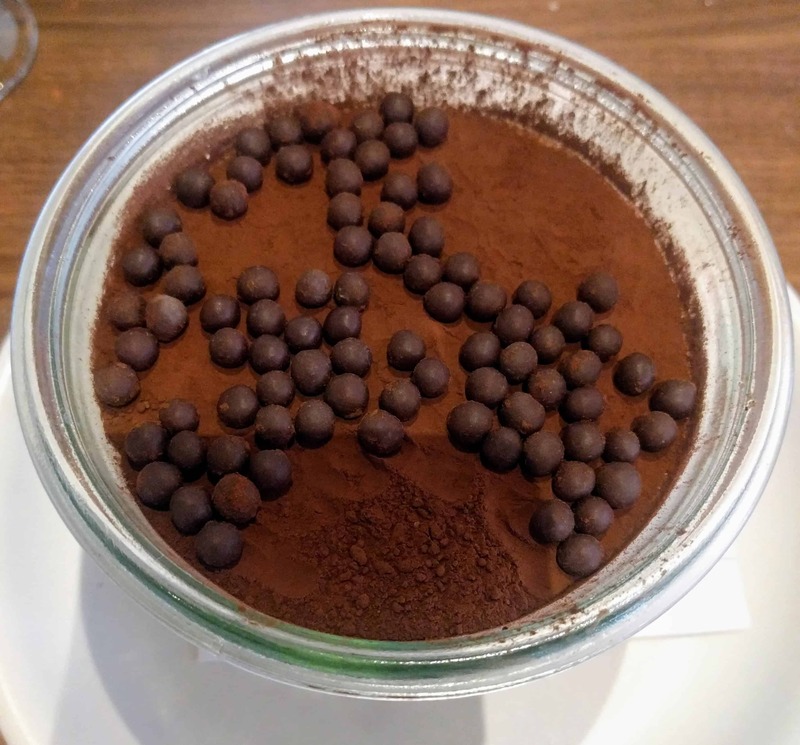 The hubs kept it traditional and had the tiramisu. 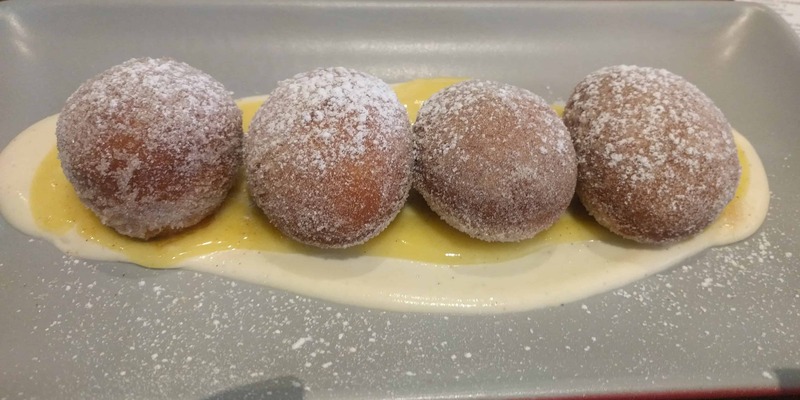 I went for the lemon donuts which were divine! They were light and the lemon curd was the perfect accompaniment. We tried two dessert wines with our dinner (which I did not get pictures of). 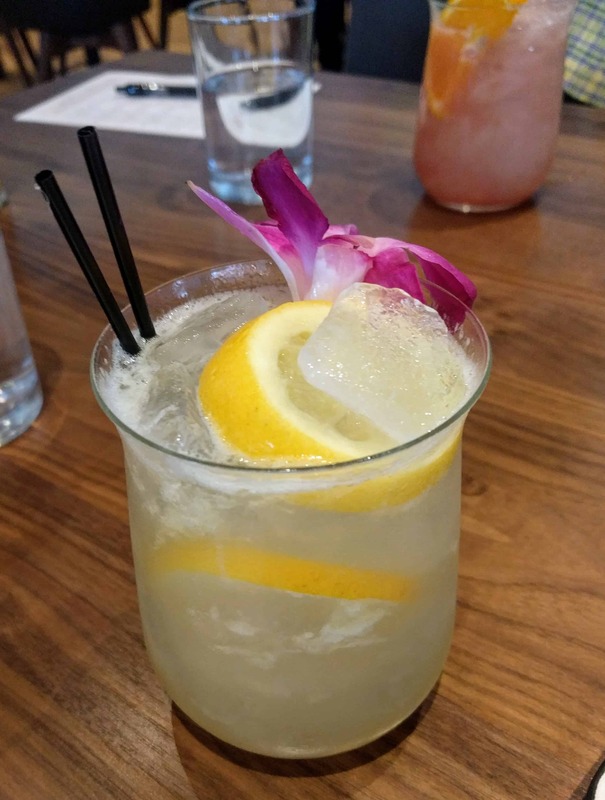 I had the raspberry limoncello which taste like summer. The hubs had the Montenegro which we both agreed tasted like Christmas. 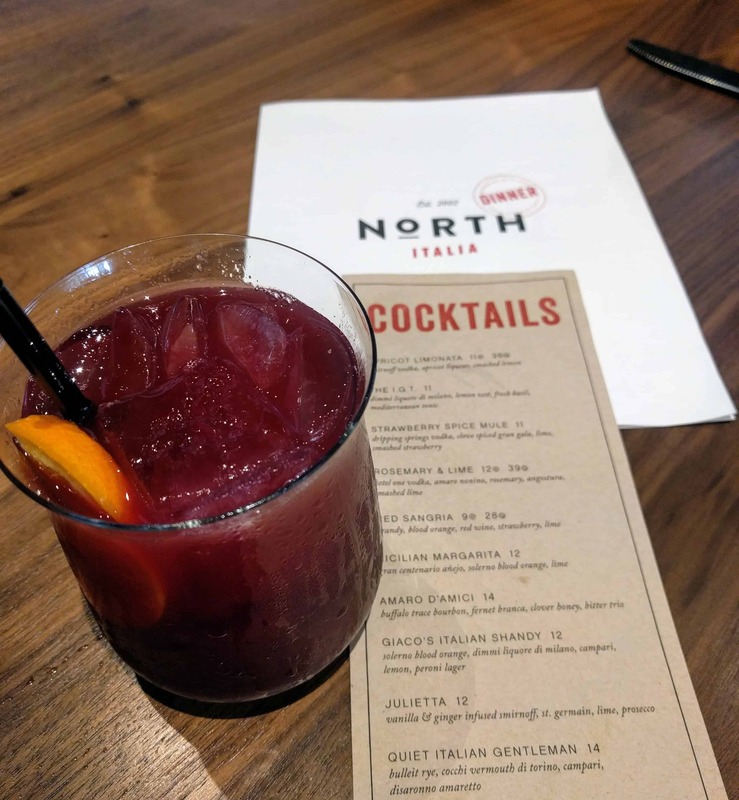 North Italia is a solid spot with delicious food and creative cocktails. I can’t wait to try their brunch. This food looks delish! 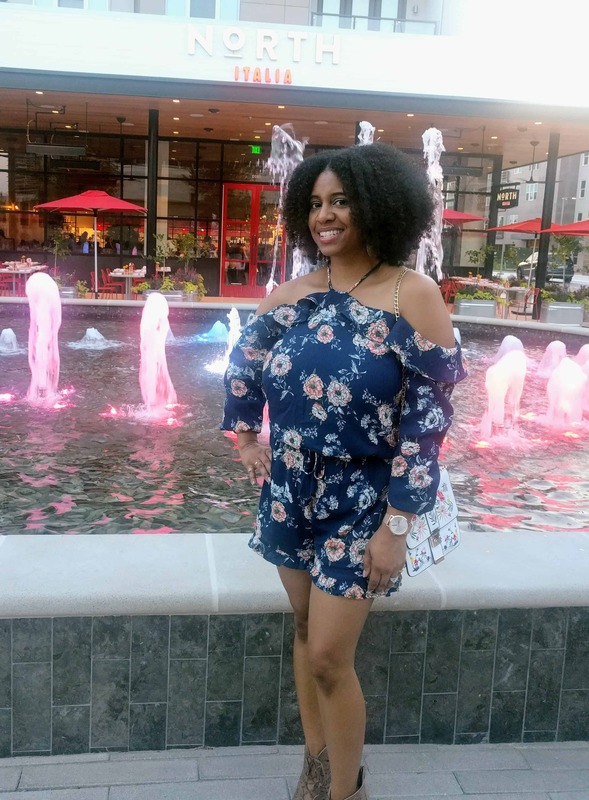 From the appetizers, to the main course, and even the drinks and dessert. Definitely worth checking out when I’m in the area. Thanks for sharing! Thank you! Definitely pay them a visit.